After a fantastic four days in The Hague, the Tour of Awesome™ is moving on to Phase 2. From The Hague, we’ll get the train to Amsterdam this evening and begin to prepare for our next touchstone: the Mike Anklewicz Klezmer Trio performance at the Candlelight Concert at the Portuguese Synagogue. The time in The Hague has been great. We’ve met some outstanding folks here and have gotten a real flavour for the city, taking note of the cosmopolitan folks walking around the streets and feeling what it’s like to live (for a time) in this thriving arts community. 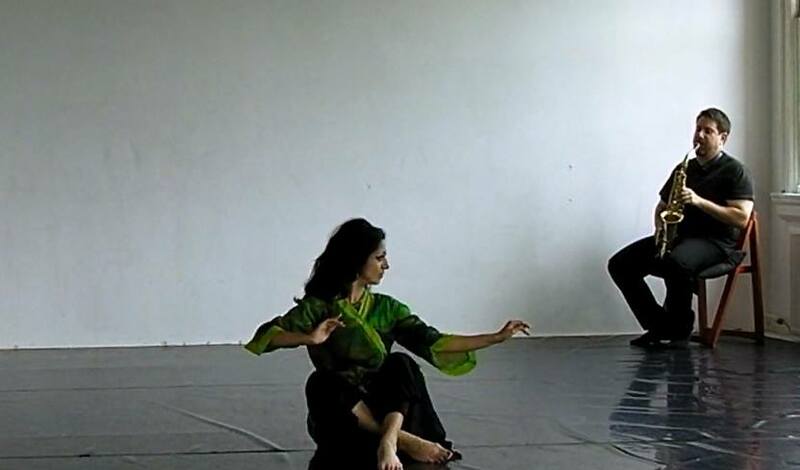 While Paromita was doing her residency at the CLOUD, we felt that we really got a good start on shaping the piece, “Vignettes of Sringaar.” The piece deals with concepts of love and the residency offered us a great opportunity to workshop the piece and find a voice for something that involved a lot of improvisation. I found that it brought me back to my training as a classical saxophonist and improviser and it was a challenge to improvise based on Paromita’s movements in her dance. Trying to keep both her movements and my own musical phrases in mind as she danced was a new experience for me because my only previous experience playing for dancing has been in klezmer music. We’re definitely looking forward to moving the project forward once we’re back in Toronto. On the near horizon is the concert at the Portuguese Synagogue: I’m looking forward to playing with Gregor Schaefer and Erica Roozendaal, two excellent musicians who play klezmer (and other genres) with Shtetl Band Amsterdam. While it’ll be brief, the rehearsal process promises to be exciting because when you work with experienced musicians, there are always new details and nuances to be discovered in the music. If you’re in the Amsterdam area, come on down Thursday night (June 25) to the Portuguese Synagogue to catch the Mike Anklewicz Klezmer Trio in action!